A warm welcome greets you every time you step out of the shower or bath, thanks to the Ancona Comfort 7 Wall Hardwire towel warmer. Its chrome elegant timeless design and convenient size, allows an easy installation in any room needed, blending perfectly into the space available. As the name implies, this item features 7 racks for accommodation, reaching ideal thermal warmth and coziness in only minutes. The hard wired plate discreetly conceals the wire, creating a flawless fit into your wall. Gorgeous in bathrooms and full of possibilities in the laundry room, exercise room, mudroom or bedroom - it's the indispensable item for your home. 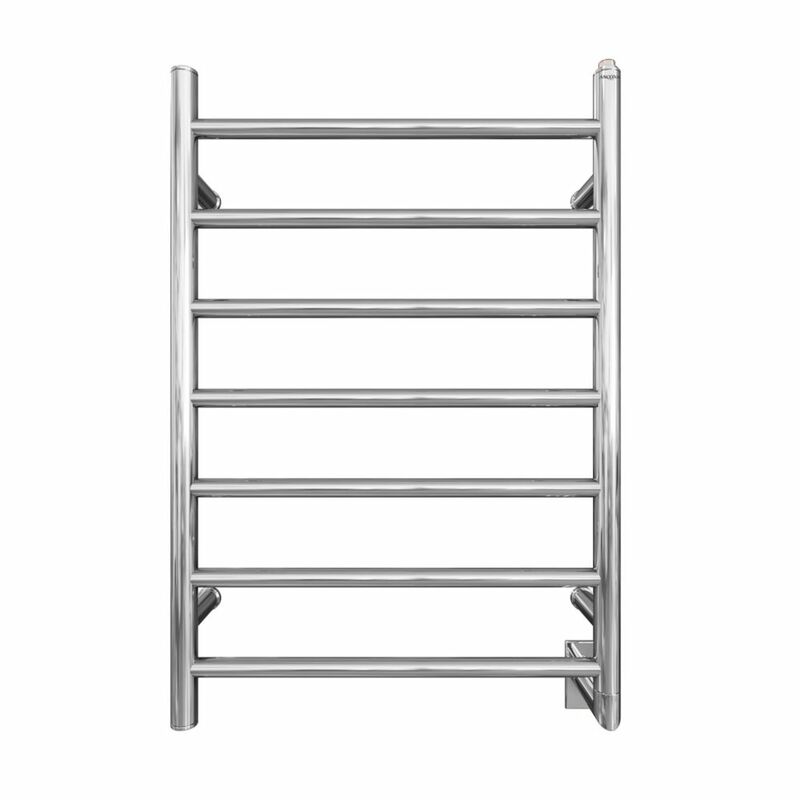 Comfort 7-31 inch Hardwired Electric Towel Warmer and Drying Rack in Chrome A warm welcome greets you every time you step out of the shower or bath, thanks to the Ancona Comfort 7 Wall Hardwire towel warmer. Its chrome elegant timeless design and convenient size, allows an easy installation in any room needed, blending perfectly into the space available. As the name implies, this item features 7 racks for accommodation, reaching ideal thermal warmth and coziness in only minutes. The hard wired plate discreetly conceals the wire, creating a flawless fit into your wall. Gorgeous in bathrooms and full of possibilities in the laundry room, exercise room, mudroom or bedroom - it's the indispensable item for your home. Comfort 7-31 inch Hardwired Electric Towel Warmer and Drying Rack in Chrome is rated 4.0 out of 5 by 1.